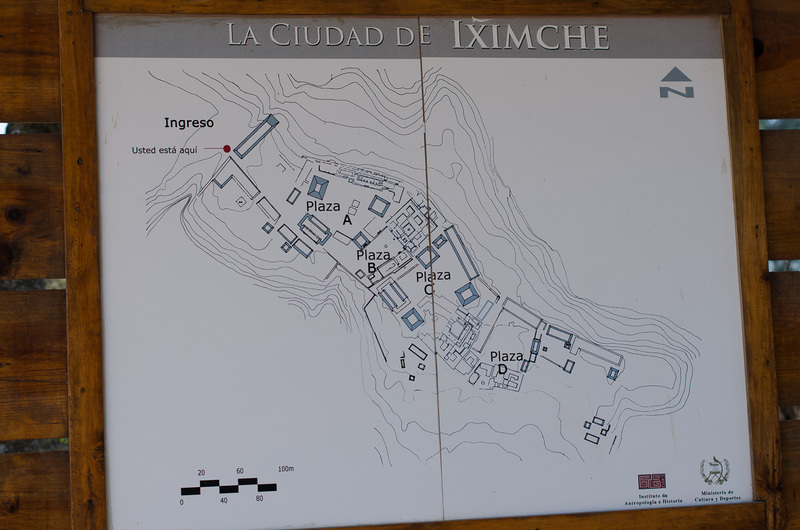 This morning (after shopping for some handmade leather cowboy boots), we visited our first site – Ixminche. It was founded in the postclassic period after migrations from the lowlands took the Maya north into Mexico, and some went to the southern Highlands, so it’s described as a very late site. Here they founded Iximche, considered the capital of the Kaqchikel, which only fell when the Spaniards went back on their word to ally the Kaqchikel against their neighbours, and drove them out in 1524. When it was thriving, there were four rulers at the city, with two main ones dominating. This is reflected in the site layout where in Plaza A and Plaza C there are two facing pyramids on each, with an adjacent palace. It remains an important site to the modern Maya who used the site to protest against their oppression, and in 1989 they were granted permission to perform ceremonies (like the one we took part in yesterday) in public for the first time. We saw the altar used for the ceremonies, and these are performed regularly, but they are mostly show ones for tourists. It was good to see the ball court, and as I have learnt a lot more about the game on this visit I will be looking forward to sharing it and maybe even giving it a go! The name Iximche means Maize Tree (Ixim=maize, che=tree), and as you can probably already see from the posts, maize is incredibly important to the Maya. The vultures were circling, but they were thwarted when I got some lunch and survived. If you see the letters IL on a glyph it means female.